Dr. Govindasamy Sankar is a pulmonologist who graduated the medical school from Stanley Medical College and did his internship at the Interfaith Medical Center. He completed his residency program at Bronx-Lebanon Hospital Center and his fellowship at the SUNY Health Science Center at Brooklyn. 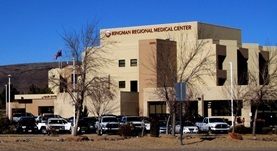 Dr. Sankar is specialized in pulmonology and is affiliated with Kingman Regional Medical Center. Also, he has been practicing medicine for more than 20 years.